The 12 Days of Christmas WOD is done just like the song, i.e. 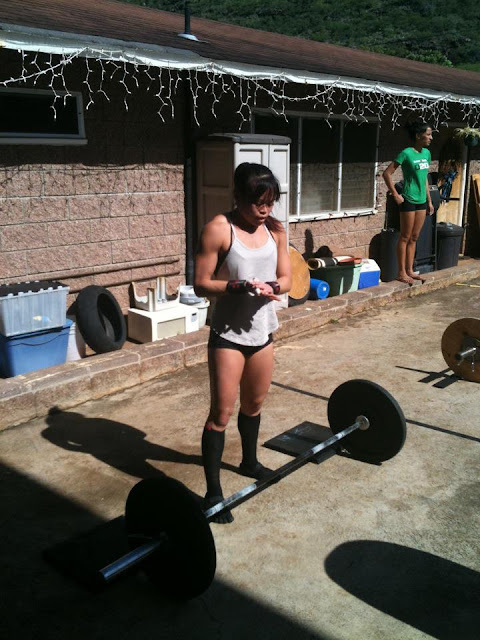 the first round is 1 SDHP; second iteration: 2 Thrusters, 1 SDHP; third round: 3 Push Presses, 2 Thrusters, 1 SDHP, and so forth until 12 Lunges, ..., 1 SDHP. A long one for sure! 2. Ladies and John doing work! 3. Tiff busting out those butterfly pull-ups! 5.Pull-ups and knees to elbow. 7. Me thinking about chalk. 8. Yeaaaaa I learned how to kip these babies. 9. Finally got to meet Sam! 11. The awesome Christmas crew! Awesome job everyone! 12. 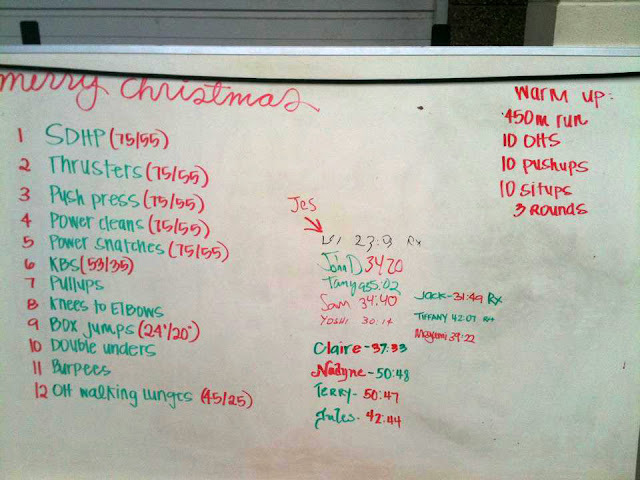 The final WOD board! Yes, my print is terrible. I got to spend Christmas doing my favorite activities: eating, CrossFit, and hiking... and with all my ohanas: by blood, CrossFit, and friends!